Team Alvimedica, the youngest crew in the Volvo Ocean Race, rounded the iconic Cape Horn first yesterday just after 1400 UTC and only 15 minutes ahead of Abu Dhabi Racing, in a hotly contested battle at the front of the fleet. While the 6,776- nautical mile stage from Auckland, New Zealand to Itajai, Brazil, is far from over and there are no race points for reaching the iconic landmark first, a Cape Horn passage is what offshore ocean racers dream about. It was the first rounding of the legendary landmark for American skipper Charlie Enright, 30, of Bristol, RI, and five others of the eight-member race crew. 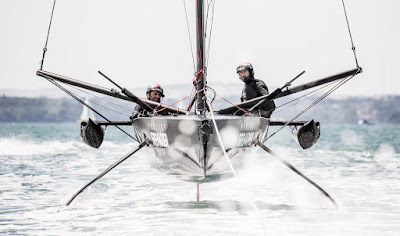 The young team has thrived in the downwind conditions that the big breeze and big waves have produced and they are having their best leg performance yet of the around-the-world race. “It’s the Everest of the race, it’s a personal proving ground, so this is pretty special for us,” Enright said from the boat in a live interview to Volvo Ocean Race headquarters in the final approach to the Horn. “The squad’s done an amazing job. Everybody really stepped up and we looked to the leadership of the guys who have been here before. 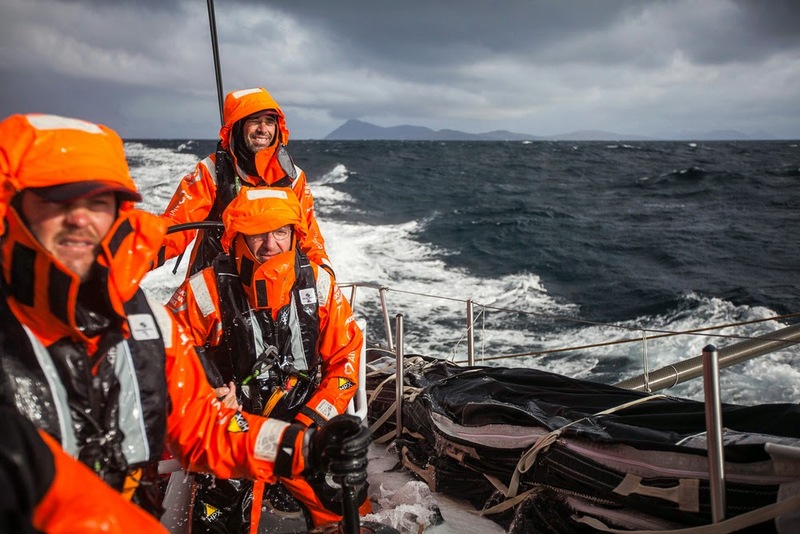 The team has been absolutely amazing - I don’t think anyone would have picked us to get here first,” Enright said of the young crew’s underdog status in the battle to Cape Horn. The teams have been sailing at breakneck speed with the top four competitors in close quarters. Team Alvimedica executed multiple gybe maneuvers to skirt the ice limits set along the southern edge of the racecourse, leaving the crew exhausted but exhilarated as they rounded the Horn today. Last week, the crews were sailing in the most remote part of the planet yet they were racing within boat lengths of each other during some of the closest competition the Volvo Ocean Race has ever seen. In a single day of racing, there were 14 gybes while skirting the ice limits, with Abu Dhabi Racing closing in at rapid pace. In the 24 hours before Cape Horn, Abu Dhabi set a new 24-hour speed record for this race with 551 miles. One of the race leaders, Dongfeng Race Team, suffered a setback when they broke their mast before reaching Cape Horn today. No injuries were reported. Enright is one of the six – along with fellow Americans Mark Towill and Nick Dana, Italian Alberto Bolzan, and Kiwis Dave Swete and Ryan Houston – who today successfully completed their first passage around Cape Horn, the bottom of South America where the Southern and South Atlantic oceans meet. 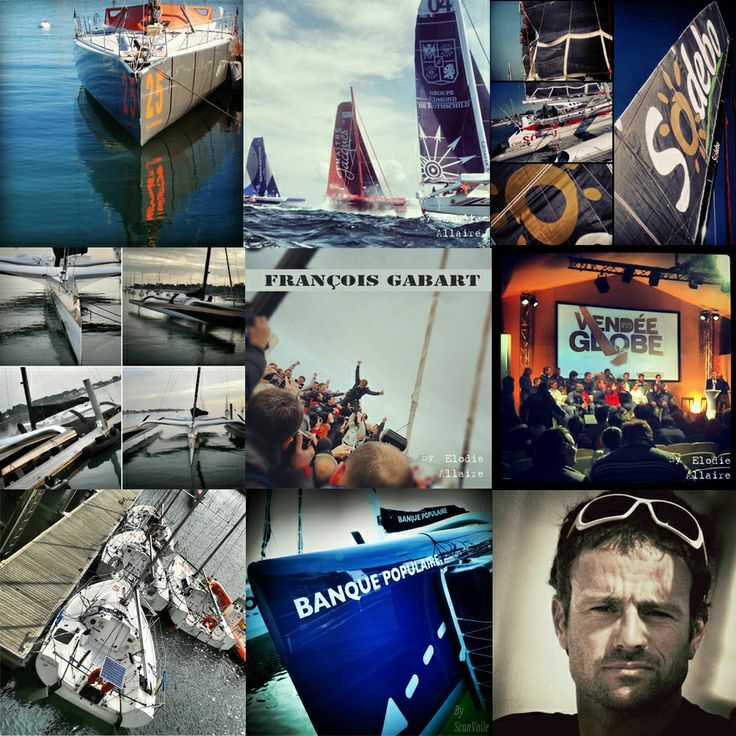 They have earned the bragging rights that come with rounding the Horn as well as leading the Volvo Ocean Race fleet through this treacherous patch of ocean. The crew is bolstered on Leg 5 with the addition of Stu Bannatyne, a three-time round-the-world winner, achieving his seventh Cape Horn rounding today. Team Alvimedica navigator Will Oxley is also steeped in round-the-world racing experience and a veteran of multiple Horn roundings. 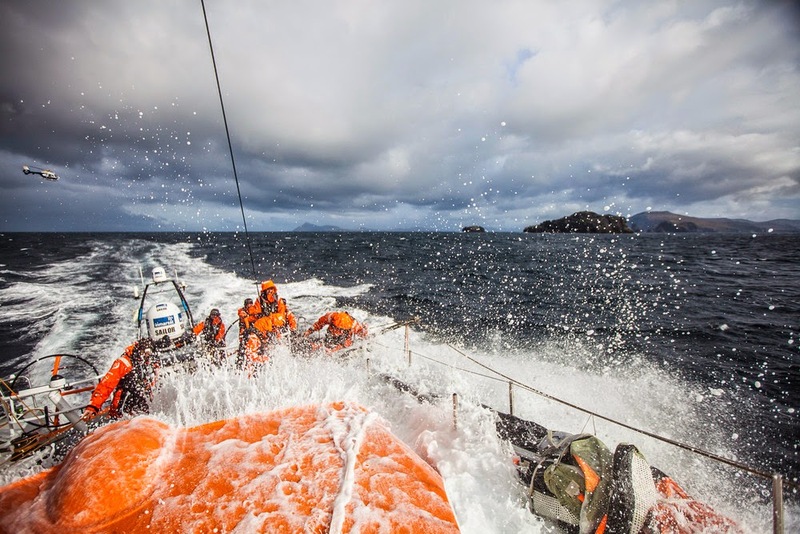 OnBoard Reporter Amory Ross completed the Cape Horn passage in the last edition of the race, making this his second time. Stuart Bannatyne, 43, (NZL); Alberto Bolzan, 32, (ITA); Nick Dana, 29, (Newport, RI, USA); Charlie Enright, 30, (Bristol, RI, USA); Ryan Houston, 32, (NZL); Will Oxley, 49, (AUS); Dave Swete, 30, (NZL); Mark Towill, 26, (Kanehoe, HI, USA); and OnBoard Reporter Amory Ross, 30, (Newport, RI, USA).